Christmas Comes Early... RINO Murkowski Pays Back Indian Supporters Ten-Fold! Christmas Comes Early… RINO Murkowski Pays Back Indian Supporters Ten-Fold! Multiple Alaska Native groups combined to form a PAC that spent $1.7 million to assist Senator Lisa Murkowski in her bid for reelection last month. Now we find out that in earmarks alone in the pending omnibus bill Senator Murkowski has paid her supporters back over to 10 to 1. Several of these earmarks were dedicated to native corporations, villages and councils. Pretty good Return on Investiment (ROI), huh? It is unknown how many of the DOD earmarks will end up in those same native corporations under the no bid contract exclusivity they enjoy under 8a legislation. No one knows for sure how much they will gain from contracts. Matthew says this will never see the light of day in Alaska media. 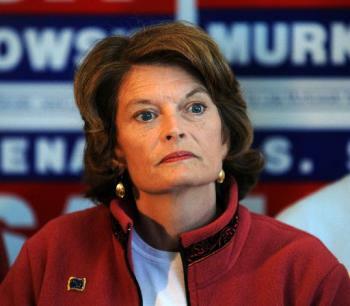 Remember this is the same Lisa Murkowski who actually said in a debate that other states should no longer get earmarks but Alaska should be exempt since we are a newer state. Oh yeah, we currently have over $35 billion in our state savings account.